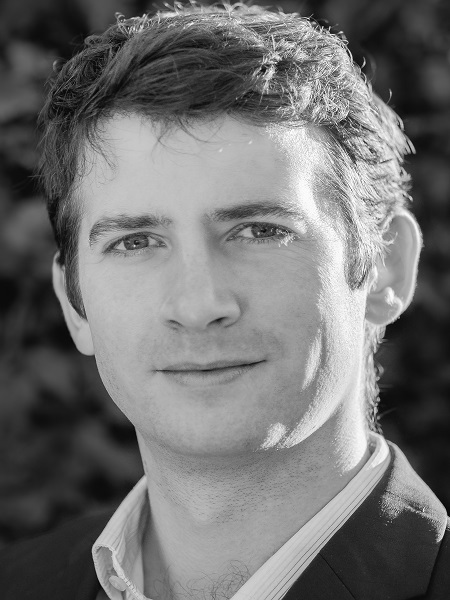 Richard Dowling is a graduate of the Royal Academy of Music’s Opera Course, where he was privileged to perform the role of Tom Rakewell in Stravinsky’s ‘The Rake’s Progress’ and as a soloist in the Academy’s complete Bach cantatas series. He is now supported by Opera Prelude and regularly appears in their concerts and lectures. 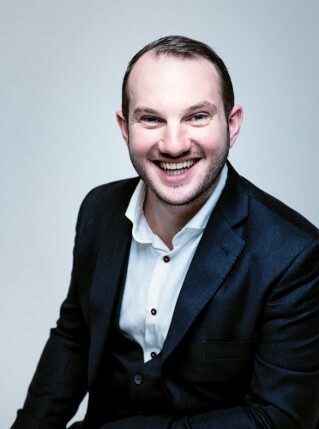 He sang the role of Ferrando in Mozart’s ‘Cosi fan tutte’ with West Green Opera and, working with the inspirational Graham Vick, performed the role of the Sailor in Birmingham Opera Company’s production of Purcell’s ‘Dido and Aeneas’. 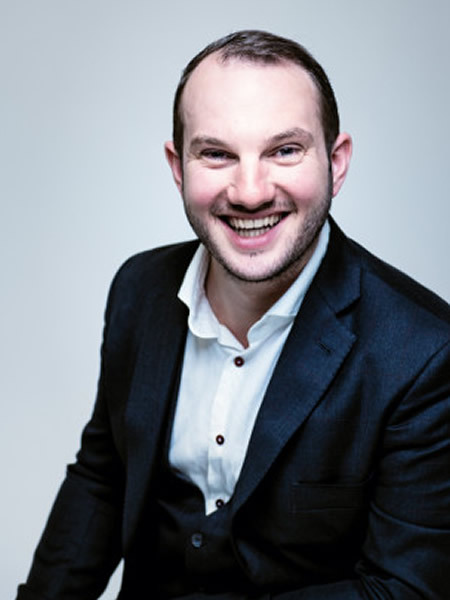 He has sung the role of Nemorino in Donizetti’s ‘Elisir d’amore’ with Jackdaws OperaPLUS. He has been a regular with Garsington Opera and amongst other roles performed as the Glassmaker in Britten’s ‘Death in Venice’ conducted by Steuart Bedford. He also sang the role of Count Almaviva in Rossini’s ‘The Barber of Seville’ as a young artist with Mid Wales Opera. He is also an experienced oratorio artist, engagements including Britten’s ‘Ballad of Heroes’ and Mozart’s ‘Requiem’ in the Bridgewater Hall, Finzi’s ‘Dies Natalis’ in Brentwood Cathedral, Janacek’s ‘Otcenas’ in Gorton Monastery and the ‘Messiah’ in Lincoln Cathedral. 2016-17 under the direction of Harry Christophers and Eamonn Dougan. Square and with Aldeburgh Voices at the Snape Maltings Easter Weekend. Southwell Minster in February 2018, a landmark moment in the Minsters 900+ year history. Born in Surrey but largely raised in Southeast Asia, Carris Jones studied at Gonville and Caius College, Cambridge and the Royal Academy of Music, graduating with a DipRam, the Academy’s highest performance award. 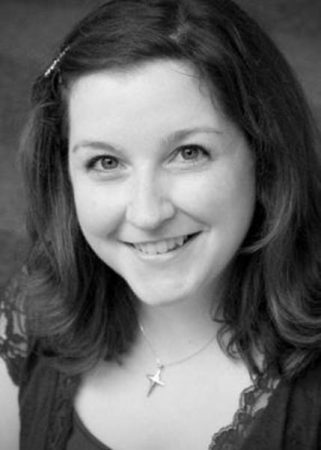 On the operatic stage, Carris has performed and covered roles at English National Opera, Iford Arts, Garsington Opera and Bury Court Opera. Carris made her Royal Festival Hall debut as Renee in the European premiere of Shostakovich’s Orango, with Esa Pekka-Salonen and the Philharmonia. Carris’ concert highlights include Britten Phaedra with members of the Philharmonia, Bach Magnificat for Laurence Cummings and the English Concert, and performances of Elgar Sea Pictures and Mahler Kindertotenlieder. As a consort singer, Carris has sung across five continents. She was a founder member of Stile Antico, and collaborated with Sting on his Dowland project, Songs from the Labyrinth. In 2017, Carris joined the Choir of St Paul’s Cathedral, the first female Vicar Choral ever to be appointed. 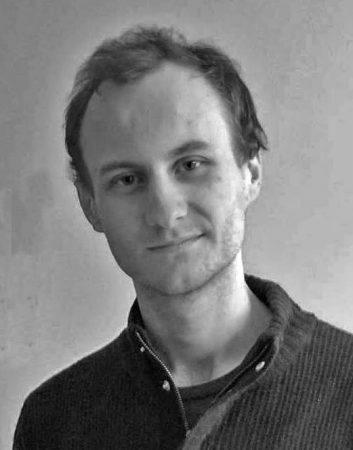 Matthew Keighley is currently a master’s student at the Royal College of Music. He is a Soirée d’Or Scholar and working under the tutelage of Tim Evans-Jones. He is also supported by the Josephine Baker Trust. Prior to his studies at the Royal College of Music, Matthew was a Lay Clerk at Gloucester Cathedral. Matthew is in growing demand across the UK and Ireland as a concert soloist. Recent performance highlights include Handel’s Messiah with Tewkesbury Abbey Schola Cantorum and Ethel Smyth’s Mass in D in Southwark Cathedral with London Oriana. Matthew was also recently involved in an Irish tour of Handel’s Theodora with the Irish Baroque Orchestra. Further afield, Matthew performed last summer in Corfu and Italy singing as a soloist for the Ionian University Choir. Since starting music college in September, Matthew has been gathering experience on stage. He was delighted to be involved in Mozart’s The Marriage of Figaro, directed by Sir Thomas Allen and looks forward to the College’s summer opera production where he has been cast as Errand Boy in Lennox Berkeley’s A Dinner Engagement. Born in Nottinghamshire, Ruth Massey was educated at Worksop College and Cambridge University, where she held a Choral Scholarship at Clare College. 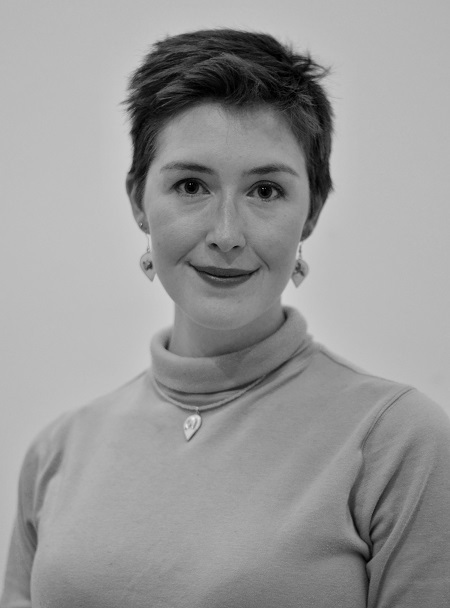 She has performed with many of the UK’s foremost consorts, specialising in Medieval, Renaissance and Baroque music. 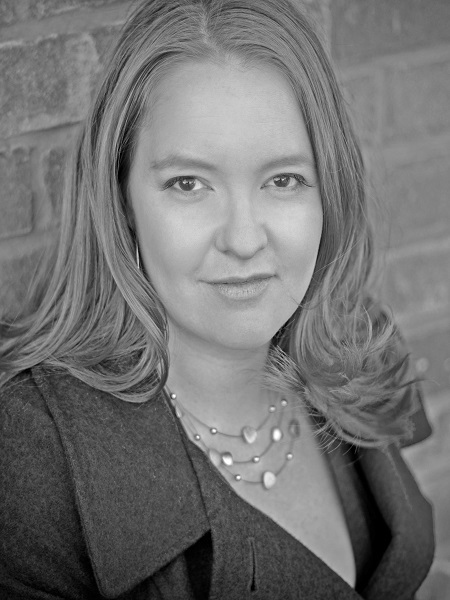 She has toured the world with The Tallis Scholars, The Sixteen, The Eric Whitacre Singers and The Gabrieli Consort. European concert highlights include Haydn Harmoniemesse at the Festival de Musique de La Chaise Dieu, France, Handel Dixit Dominus at Santa Maria di Montesanto, Rome, Italy (the church where this majestic piece was first performed in 1707), and Ockeghem Missa Prolationum in the Conzertgebouw Amsterdam. Ruth has appeared on over 100 commercial CDs, several of which have won Gramophone Awards. Hollywood soundtrack recordings have also featured prominently in Ruth’s work, from the mighty Harry Potter films to DreamWorks’ animation Flushed Away! 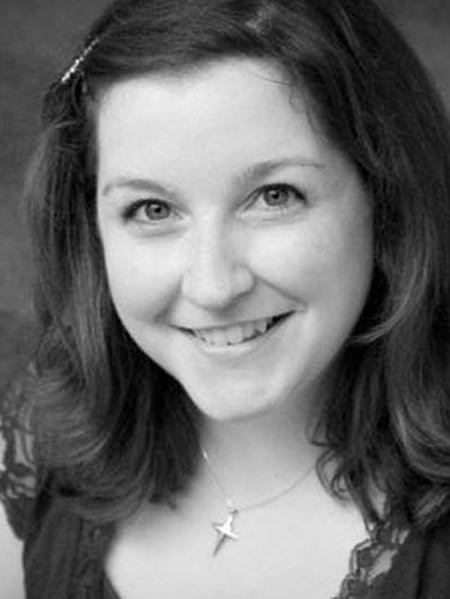 Ruth lives in North Nottinghamshire and is Director of Music at Ranby House School. Her greatest loves are the music of Poulenc and long muddy walks in Clumber Park with her two hounds. 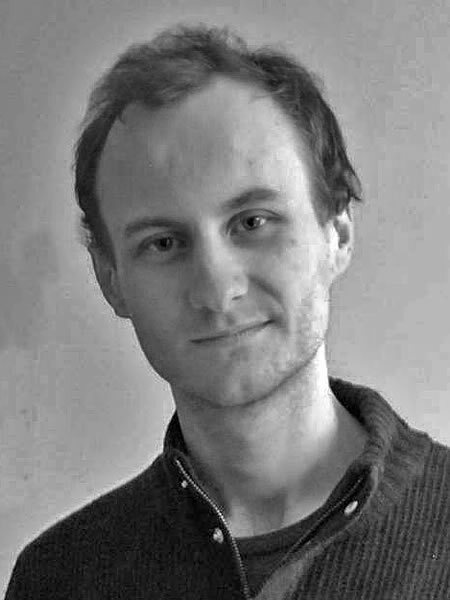 Peter, currently a Lay Clerk at Southwell Minster, is a freelance tenor, pianist and composer. 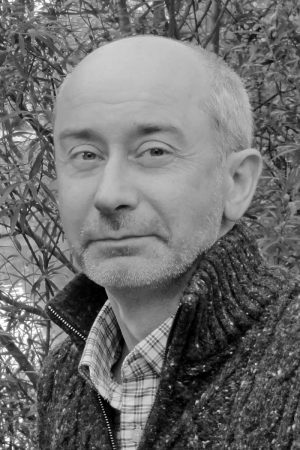 He is closely involved with the professional choral world, having sung with renowned groups such as Ex Cathedra, the Armonico Consort and the Chapterhouse Choir, York. He studied at Birmingham Conservatoire, and focused primarily on early performance practice and keyboard improvisation. When not singing, he can be found working on restoring one of the multitude of harmoniums, accordions or melodions he has collected over the years. Organist and harpsichordist Michael Overbury’s early musical influences centred on Farnham and London, where he was introduced to the glories of the English liturgical tradition, and it was here also that his organ teacher Stephen Thomson inspired in him a love of the harpsichord. Horizons broadened with an Organ Scholarship to Corpus Christi College, Cambridge. After graduating he held a number of posts including deputy organist and choir master at the Cathedral and Abbey Church at St Alban’s. After winning First Prize in the 1982 Manchester International Organ Competition, he appeared twice as soloist at the Royal Festival Hall and has continued to play with many choirs and orchestras. 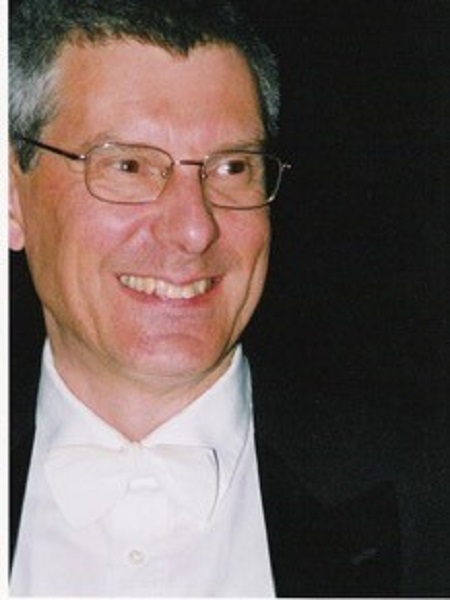 He is currently accompanist to Ruddington and District Choral Society, and to Sinfonia Chorale. 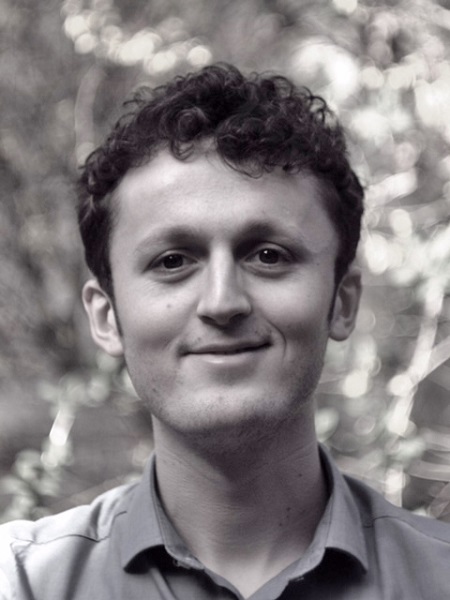 Originally from Bath, Robert is a Graduate and Fellow of the Trinity College of Music, London. He studied horn with John Burden, former principal horn of the London Symphony Orchestra and top session player – the John Burden Horn Quartet can be heard at the start of the Beatles’ Sgt Pepper’s Lonely Hearts Club album! Robert has appeared as a soloist across the country including in London, Somerset, Essex, Suffolk, Norfolk, and the East Midlands. He has performed concerti by J S Bach, Mozart, Haydn, Telemann, Schumann and Richard Strauss, and also Benjamin Britten’s Serenade for Tenor, Horn and Strings, becoming something of a champion of the horn and new music for the horn along the way… He has had music written especially for him, including Andy Evans’ Horn Concerto which he premièred in 2009 at the Albert Hall, Nottingham. Andy said that he wrote the piece ‘to showcase Robert’s lyrical and sensitive playing, that I have listened to over many years’. Robert was invited to play the horn obbligato in A Celebration of Psalms, a new choral work composed in 2013 by Burton Joyce based David Machell, who then wrote a Horn Concerto for him. Robert gave a “bravura performance” at its première in St Mary’s Church, Nottingham in July 2018. 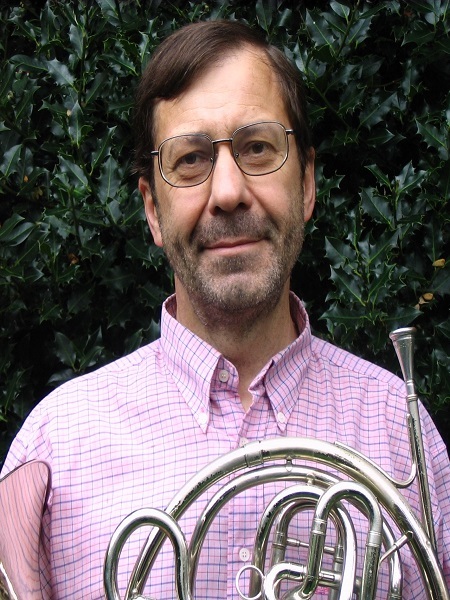 He is looking forward immensely to playing the horn obbligato part in Guy Turner’s Lux Aeterna with the B&DCS on 17th November 2018. As a busy freelance musician, Robert plays principal horn with the English Pro Musica, Lincolnshire Chamber Orchestra British Philharmonic Concert Orchestra, National Festival Orchestra (including ten years with the International Gilbert and Sullivan Festival at Buxton’s Opera House), along with numerous other professional orchestras, and has been a member of the Southwell Festival Sinfonia since its inception in 2014, under the baton of artistic director Marcus Farnsworth. 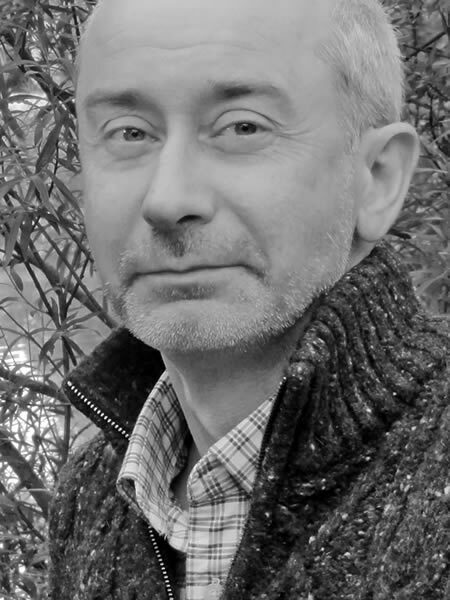 Robert enjoys chamber music, performing with the Hough Ensemble (a piano and wind group) at a variety of venues, including Nottingham’s Theatre Royal, Worksop College as part of their Worksop Music Concert Series, Grantham Music Club and Bingham Community Arts. He also regularly gives horn and piano recitals with Antony Clare. The year 2018 heralds Robert’s 25th anniversary as Music Director of the Nottingham Concert Band, a thriving community band based in West Bridgford. They are fresh from their tenth season of Proms in the Park, having celebrated Armed Forces Day in Bridgford Park on 30th June 2018 in collaboration with Rushcliffe Borough Council. He is currently grants and donations officer for the British Horn Society as well as being a member of the executive committee, and has been active in co-organising a number of BHS national festivals, most recently in 2017 in Glasgow: this year’s festival is on 21st October 2018 in Cardiff. For relaxation, Robert and his wife Ann enjoy walking their greyhound Mr Piper by the River Trent, and tending their allotment.